DAP Premium Polyurethane Construction Adhesive Sealant is a one-part, moisture- curing, non-sag elastomeric commercial-grade sealant. It is specifically formulated to provide a long-lasting, durable seal when filling exterior gaps, joints & cracks. This high-performance sealant offers superior adhesion to most substrates and remains flexible to withstand up to 70% total joint movement when installed into a properly prepared joint. Exceptional cut and tear resistance. Handles foot & vehicle traffic and may be used above or below waterline (including potable water applications). 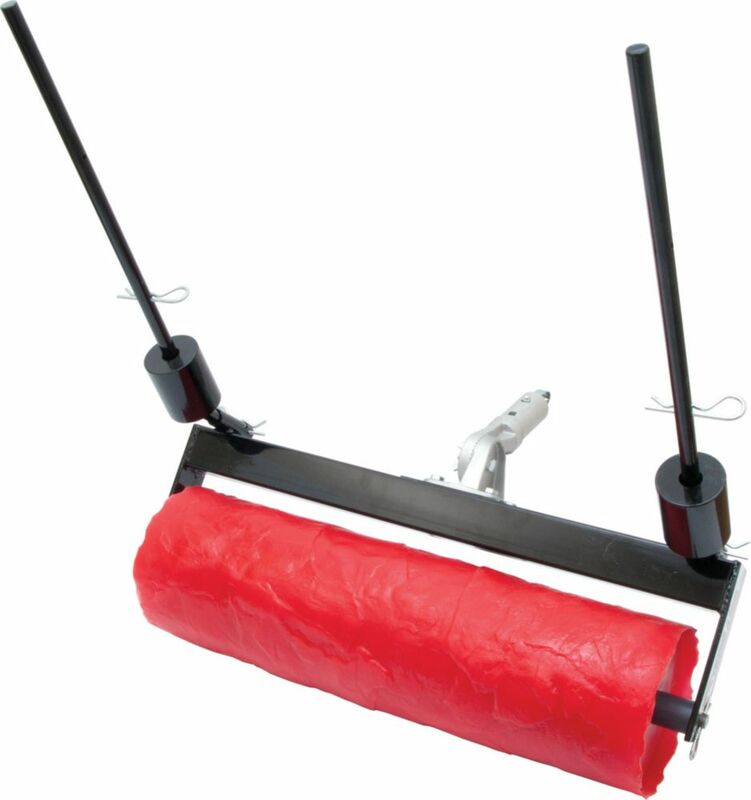 24 Inch Heavy Slate Texture Rock 'N' Roller Marshalltown Rock-N-Roller gives concrete professionals a faster and an equally effective alternative to traditional concrete stamps. It is Ultralight weight with an easy push and pull imprint. From large rollers to border and texture rollers, this decorative concrete system can do it all. 24 Inch Heavy Slate Texture Rock 'N' Roller is rated 4.5 out of 5 by 2. Rated 4 out of 5 by Mdf from Haven’t been able to use this yet because of the... Haven’t been able to use this yet because of the weather so can only give 4 stars. It arrived on time. It looks to be well made. It should be a lot quicker than the individual stamps. It looks like it will work well. Rated 5 out of 5 by Tim from easy to use if you know how to use a float you can use this product. I've never used stamps before however after using this item I would throw those stamps in the trash. I used a power releasing agent so that the concrete would not stick to the roller. The texture came out perfect. If you do not use died concrete then be sure to seal it for a nice color. Also do not forget to purchase the small touch up roller for the edges. It doesn't tell you this but roll it at a diagonal so you don't get a pattern. First time user and it came out perfect. This is the most expensive one one the market but you get what you pay for. you can always resale it when your done.